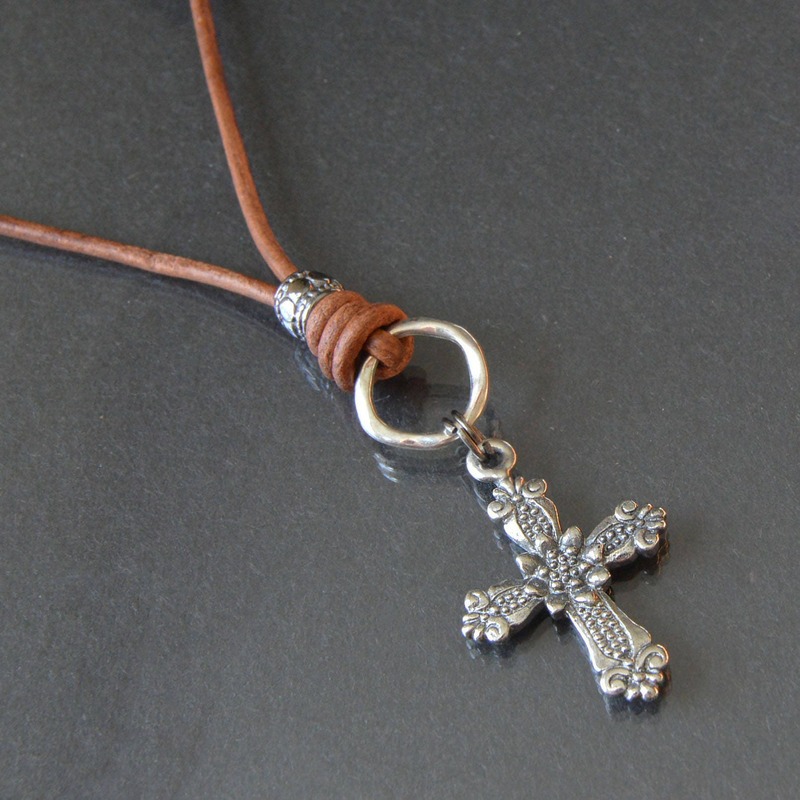 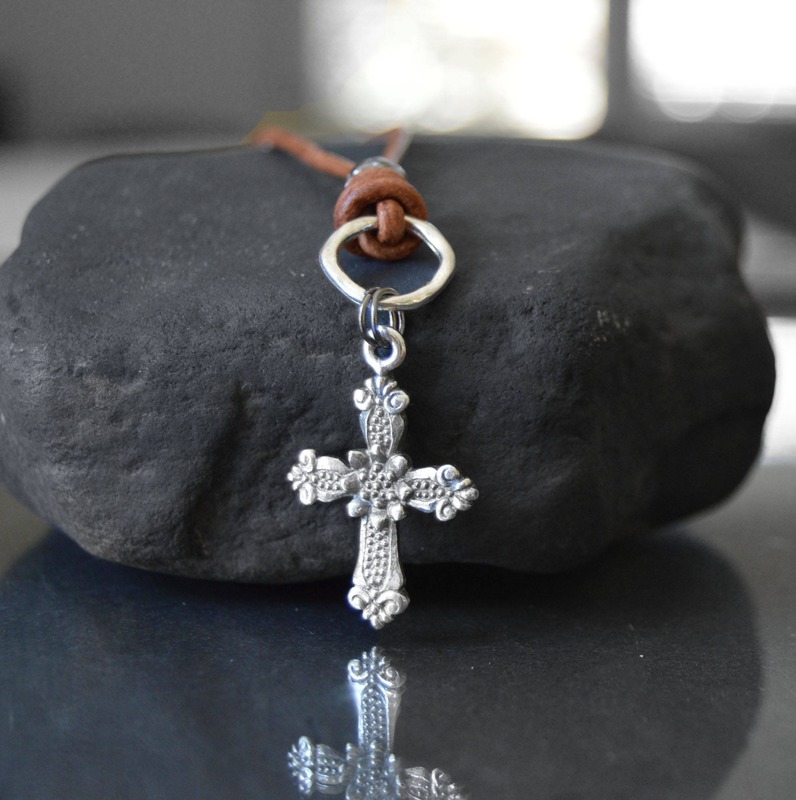 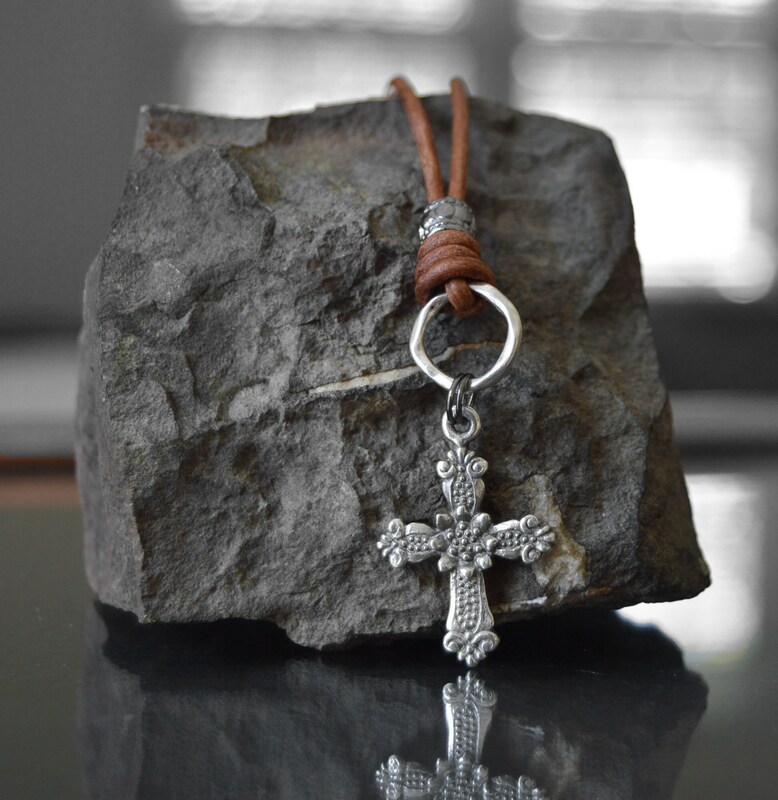 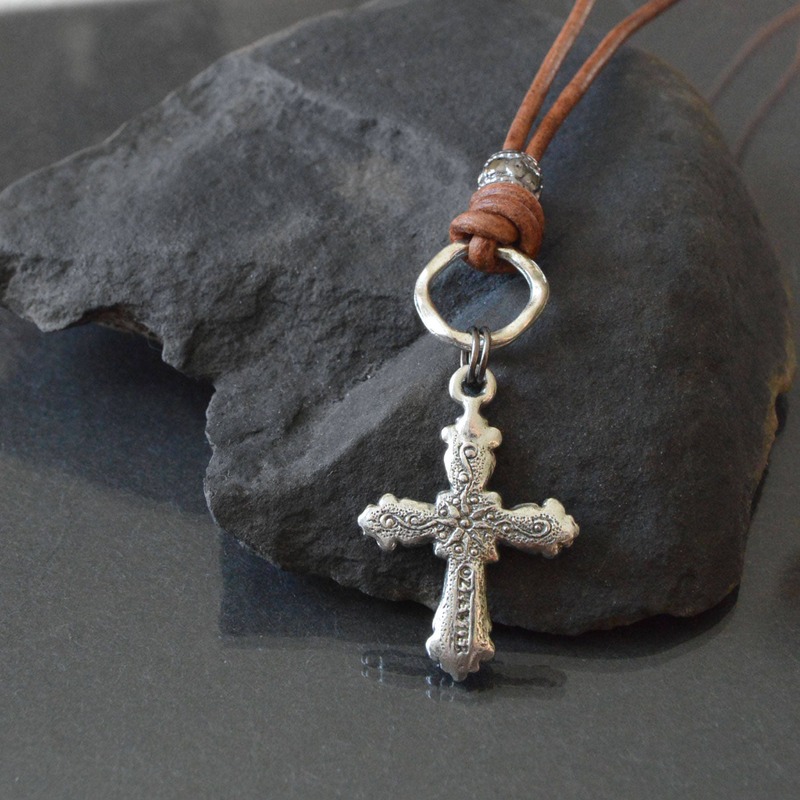 Catholic men's jewelry featuring a pewter engraved cross suspended from silver finished hammered ring and an antiqued silver plate engraved bead. 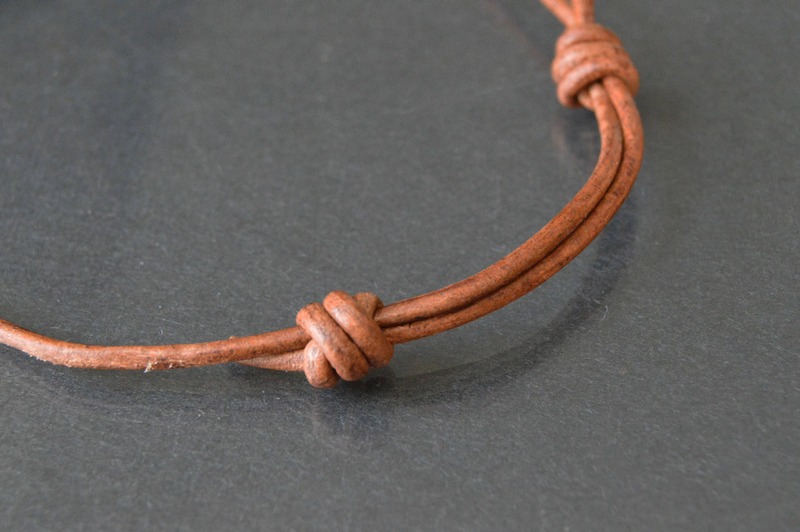 A soft leather cord with adjustable slip knots provides a variety of lengths. 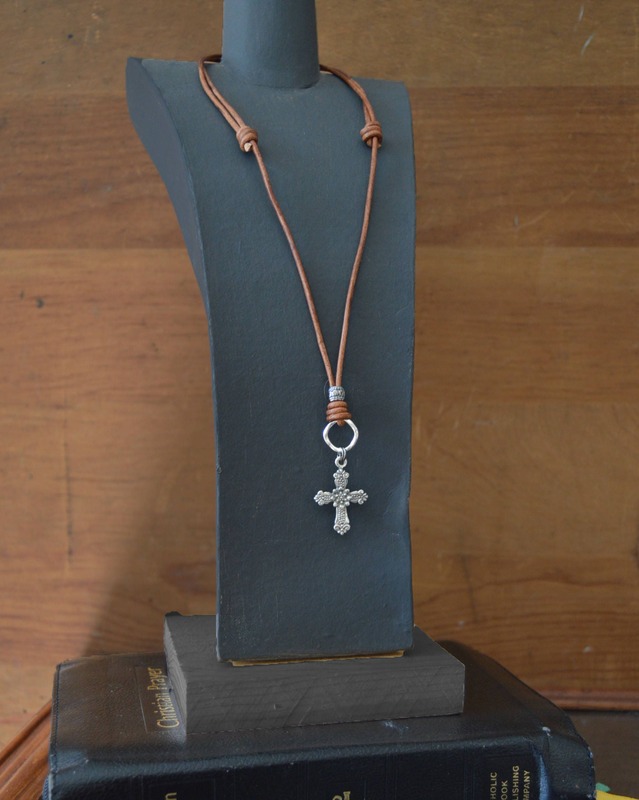 Length of Drop only: 2 inches approx.